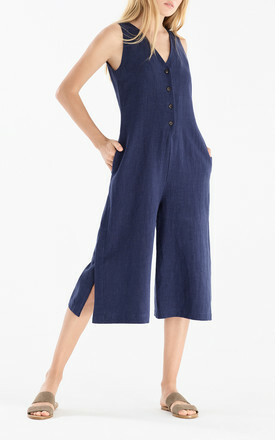 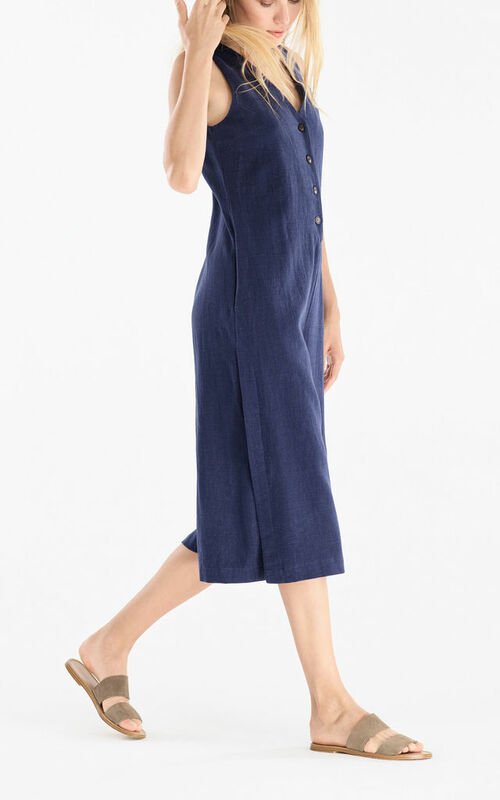 This jumpsuit is perfect for warmer temperatures and day trips. 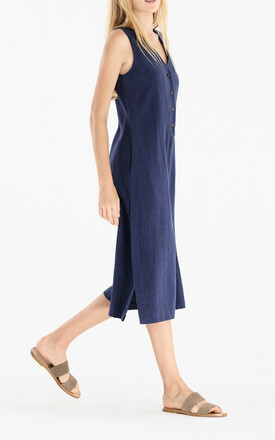 It is designed with a V neck, button front and side pockets. Team with biker boots and a leather jacket for a cool edge.